Over winter break, undergraduate students can complete their clinical hours for Nursing in Communities through this Costa Rica trip. This comprehensive community experience explores the health system, ecology, Spanish language instruction, dietary and agricultural influences on health, and vulnerable populations. You will stay with local families and attend lectures and field trips to further your appreciation of cultural influences on health. Contact Val Bader for more information. 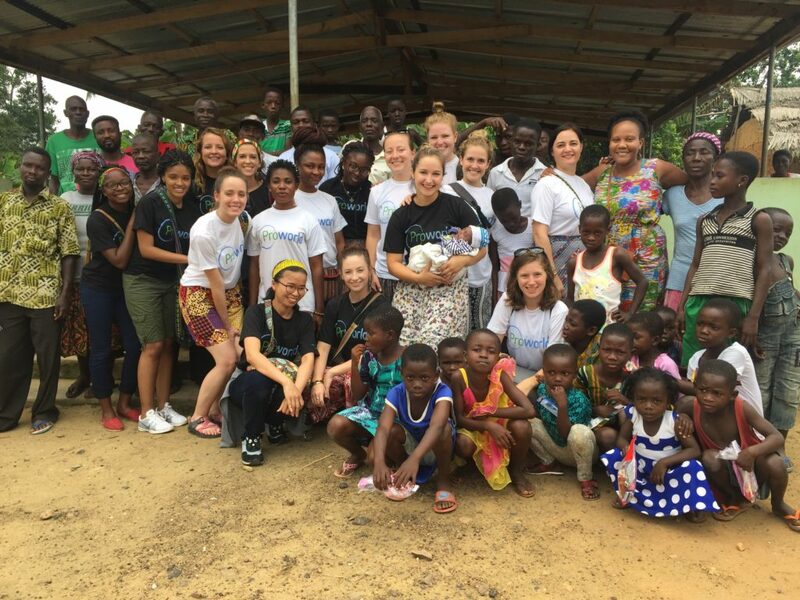 Over summer break, undergraduate student can complete their Nursing in Communities clinical hours through this public health service project in Ghana. The program helps students gan an understanding of how economies impact health issues such as infectious diseases and maternal-child health. It also explores how emerging public health issues impact both the developing and developed world. Experiences happen out in Ghanaian communities (not in hospitals or clinics) and will emphasize community health nursing skills such as screening, education and prevention. Contact Tina Bloom for more information. Funded by the Jonas Center for Nursing and Veterans Health, the Jonas Global Fellowship provides global health research experiences for graduate nursing students.